A new and amazingly effective innovation in treating fine lines, acne scars, stretch marks, hyperpigmentation and skin's overall appearance using your own skin's healing response is new at Mindful Women Spa. The Eclipse Micro-Needling pen is a device with 12 tiny needles which are applied to the skin to create micro-injuries. These micro-injuries initiate the skin's repair process to naturally produce collagen and elastin, ideal for smoothing fine lines, wrinkles, acne scars and stretch marks. The procedure itself is only mildly uncomfortable with only a day or two of recovery that can range from very little effect to the feel of a mild sunburn. PRP or Platelet Rich Plasma is a procedure that can be added to Micro-Needling which utilizes the concentration of platelets in the blood to facilitate wound healing. When used for skin rejuvenation, PRP releases growth factors into the skin to expedite the body’s own repair process and stimulate new collagen and elastin and greatly enhances the effects of Micro-Needling. In this procedure, a small blood sample is taken from your own body and the PRP is separated from your blood. 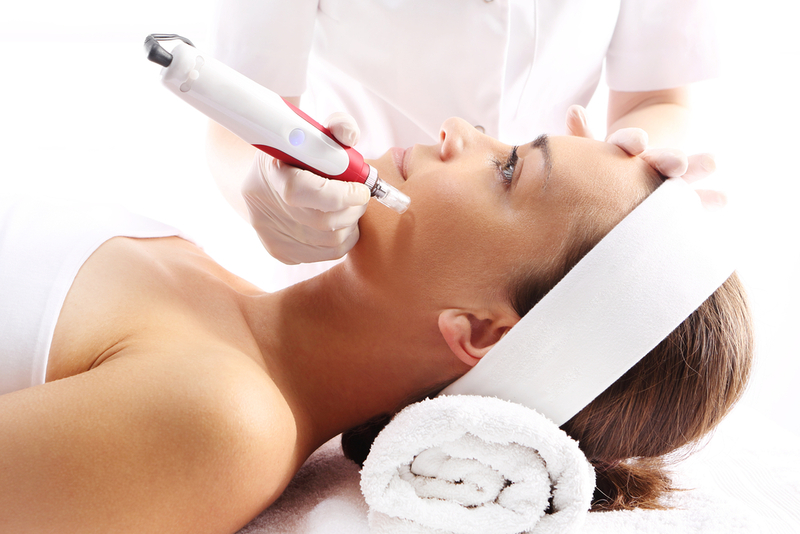 PRP is then topically applied to the skin during the micro-needling treatment. During your short office visit topical numbing will be applied prior to the procedure. No anesthesia or medications are necessary. It will feel similar to sandpaper being moved across the skin. After the procedure, your skin will be red or flushed similar to a mild to moderate sun burn for 12 to 72 hours. Mild tightness and peeling may occur. Typically you will notice an immediate glow but visible improvement will take 2-4 weeks and can continue up to 6 months. Some clients will see results in a single treatment. However a series of 3-6 treatments spaced 4-6 weeks apart is ideal for optimal results for deep wrinkles, advanced photo-aging, stretch marks and acne scars.